Who Cares About Your Website Design? What Good Website Design Can Do. Who Cares About Your Website Design? How important is a good Website Design to your business? Businesses at many stages of development invest a lot in their website. The purpose of having a good business website has always been to improve business. There are many options out there to publish a business website. If you are a company starting out, you may not need as much website as you think in the beginning. You could use any number of tools to produce your own website. Without help from a web developer. 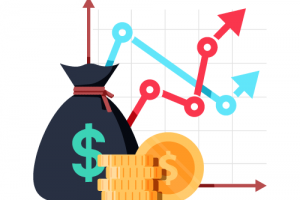 How crucial is it to invest in the website design? Does anyone, other than your staff, pay attention to how nice your website looks? Customers and Potential Customers judge your business based on your website. Recently I had a conversion with a potential client about re-doing a website that was 5+ plus years old. An upset customer is what finally pushed them towards a website upgrade. The customer had not been happy with their service. They wrote a letter to the owner explaining what had gone wrong with their project. The letter called out the old company website. It was further evidence that they did not know what they were doing. They were not competent enough to know to update their website. A study of Healthcare websites by Derek Halpern looked at the impact design had on whether users trusted a website. The study was trying to decide if design or the content of the website built more trust. The participants gave their first impressions of the website and talked about what made it trustworthy. The result was 94% of their comments were design related. To read more about this study and the results go to CrazyEgg.com. What if a single design change could generate more leads or sales from your website? Is that possible? Hear are a couple of examples that could have a big impact. Doesn’t work on their device. – This could be as simple as you have too much info saved in pdfs and you have mobile users that can’t access it. Or content using old tools or code that new users can’t access. Update the delivery of the content, you fix the problem. Steps are too difficult. – Too many steps in your checkout process. Lead generation forms that take five minutes to fill out. One-page form to signup for a download. How much do you really need know to get that first conversation? Make it easier to contact you. Shorten the process online and fix your lead generation problem. Too much clutter. – Key information, pricing or calls-to-action are too far down the page and user can’t find them. You hide important content trying to get everything on one page. Edit your content, focus the user’s attention on the key message of the page, you fix the problem. 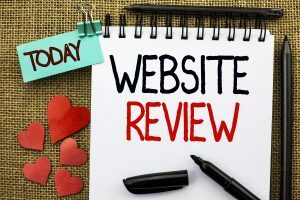 You hopefully review your business website on a regular basis. You are very familiar with the content. It may be difficult for you to see and identify designs issues that could be potential problems. 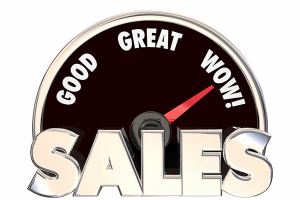 If you could improve the sales or leads off your website, how much would that be worth to your business? Even one more lead? Would be enough to justify spending money to have a fresh pair eyes review your website. The answer should be absolutely yes. Ask a Website Consultant for help. Paying attention to design in all areas of your business helps your customers. A professional looking website is consistent with how it displays company information. What a good website design can do is teach your visitors and customers how to do business with you. It will be easier to take that final step to complete a sale. When you are not consistent, you loose that learning. And some creditability too. Our September broadcast of the monthly webinar, Website Peak Performance. Addressed three areas of design where inexperience often shows: Fonts, Color and Whitespace. Need More Revenue from your Website? – Learn How.